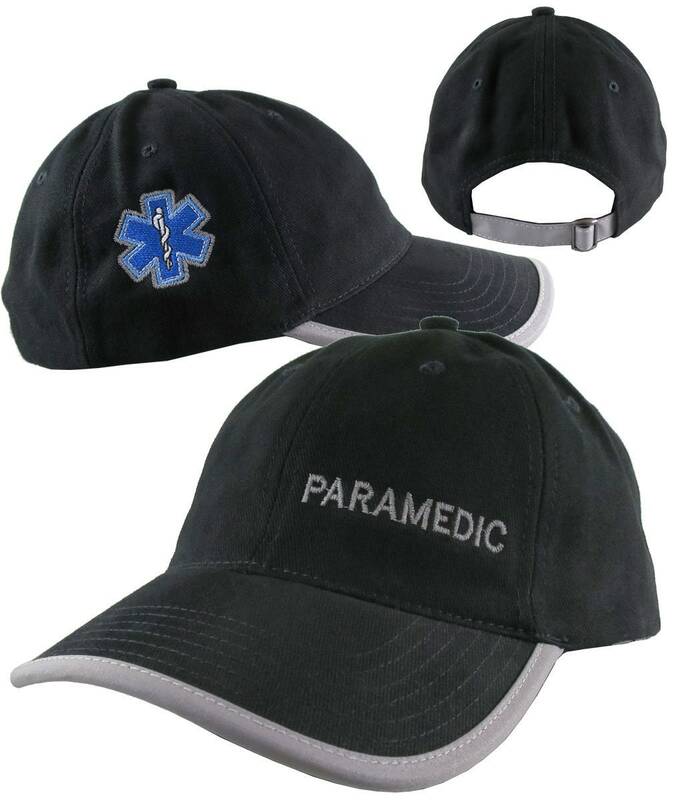 A paramedic EMT EMS star of life first responder design. 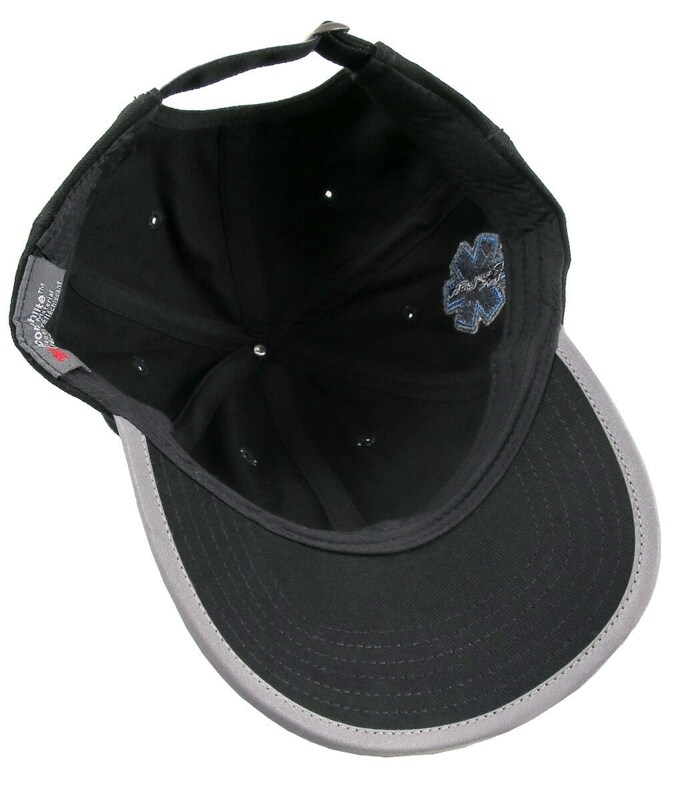 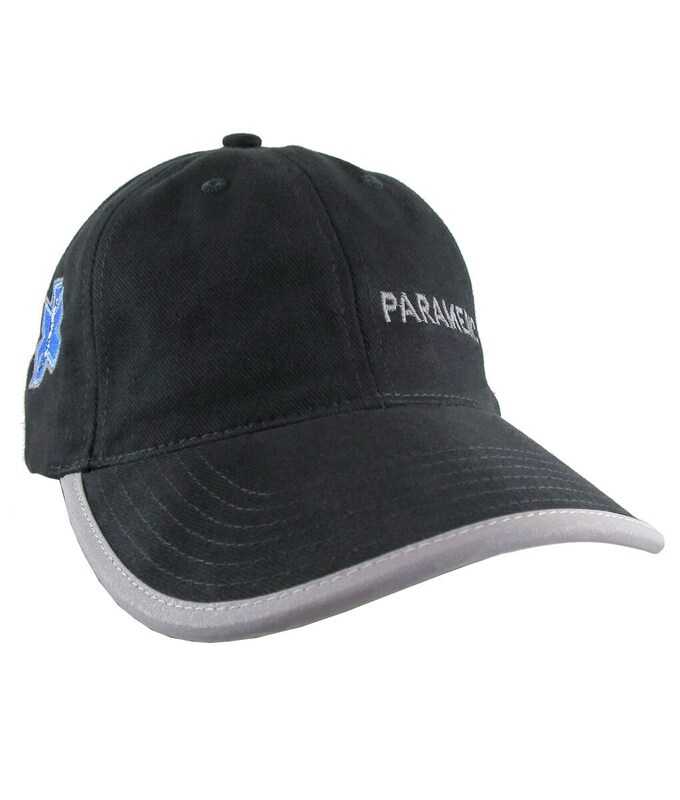 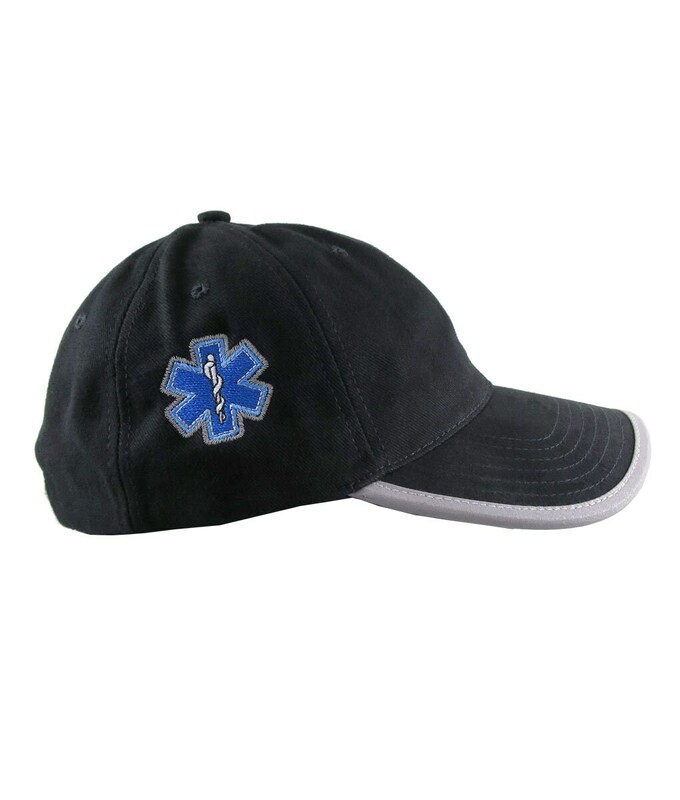 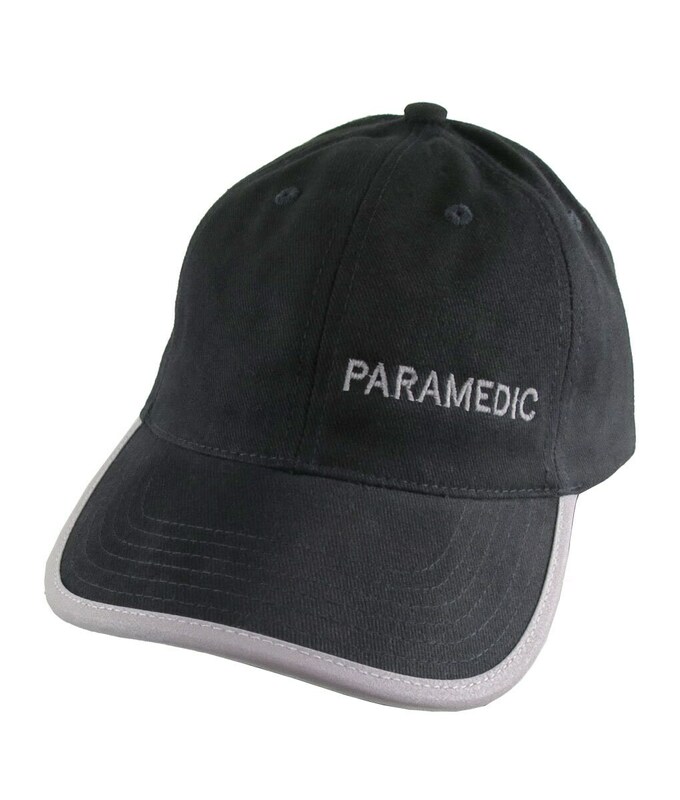 The embroidery work is charcoal silver and royal blue and is offered on a stylish black adjustable unstructured classic baseball cap with 3M Scotchlite reflective trim. 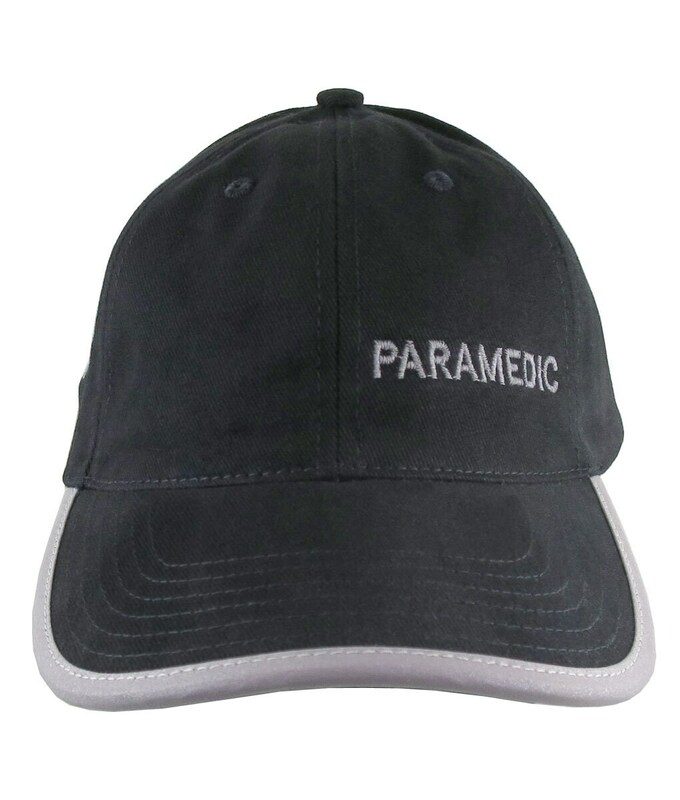 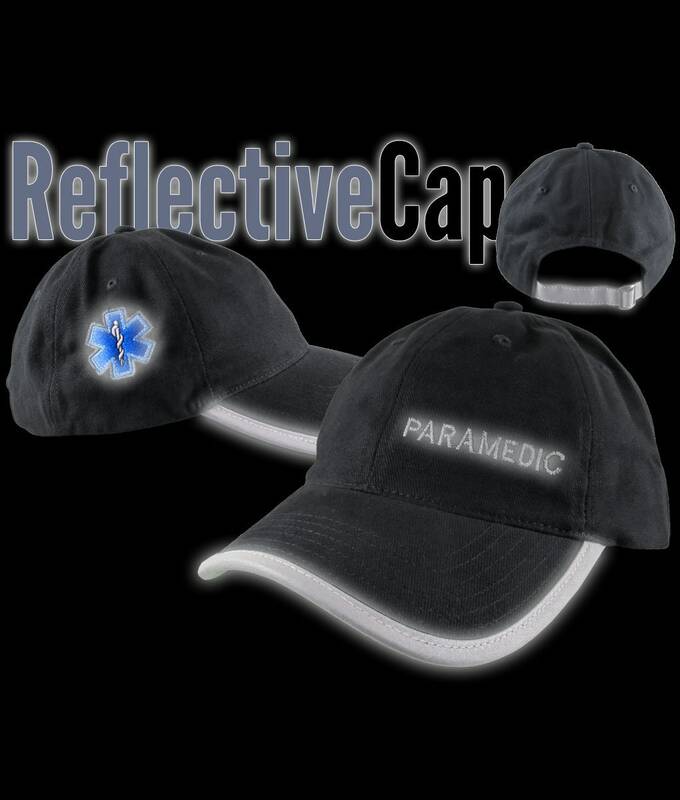 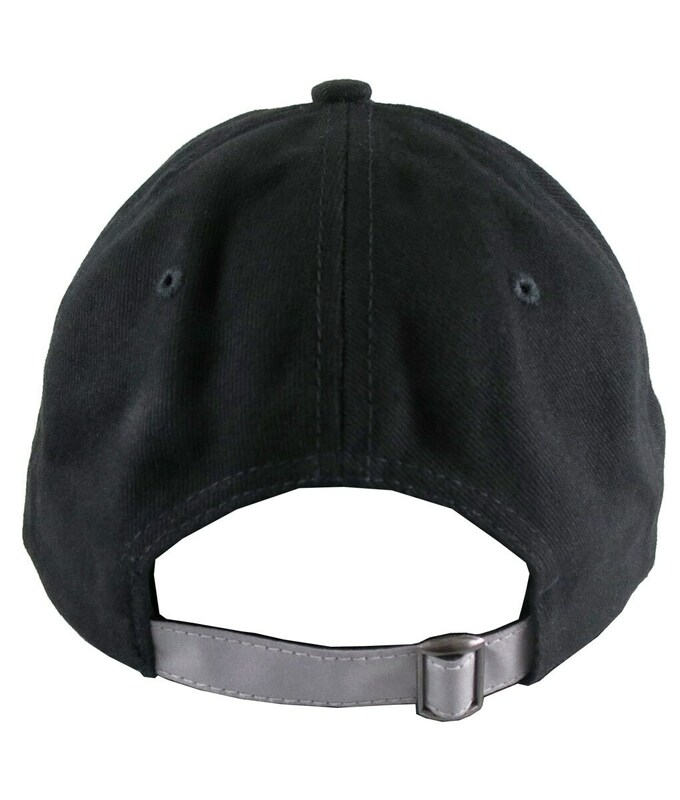 The peak and back strap of this cap will catch light sources at night and glow/reflect, just like safety markings. 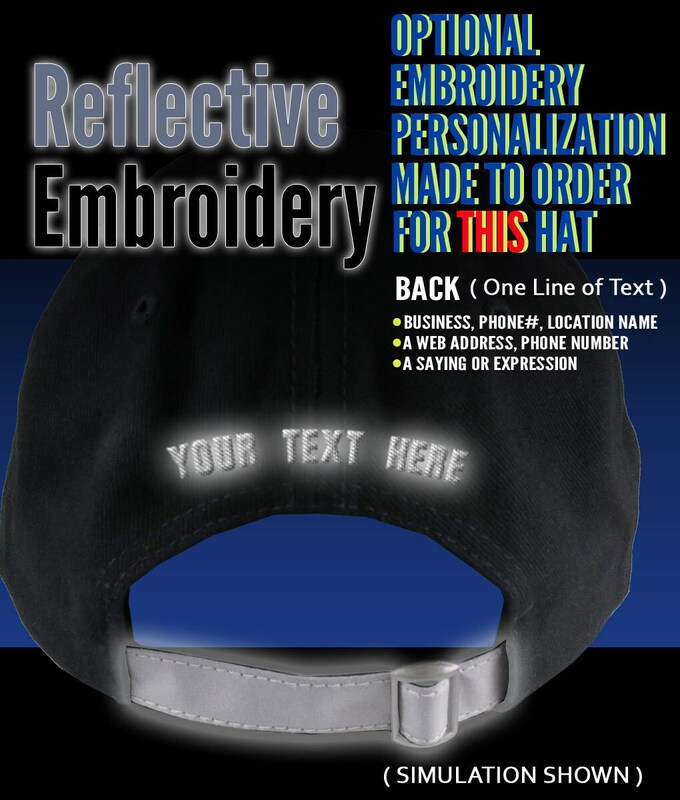 What makes this hat so unique is that parts of its embroidery decoration is made of a special retro-reflective thread, so it will react to light sources in the dark. 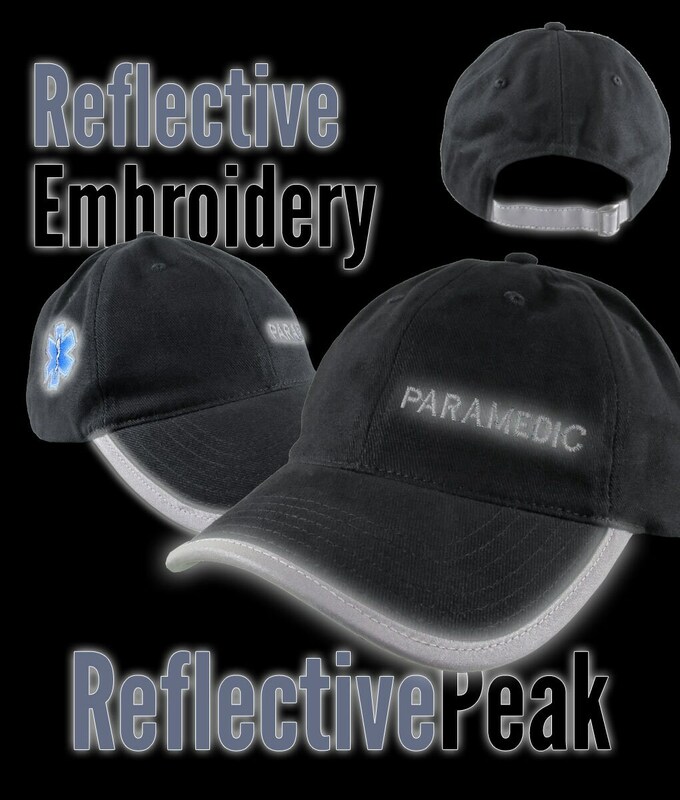 At daylight the retro-reflective embroidery is charcoal grey in color.